I bought this bike from an astute club member some 8 or 9 years ago in a sad state of repair & not really knowing what it was. 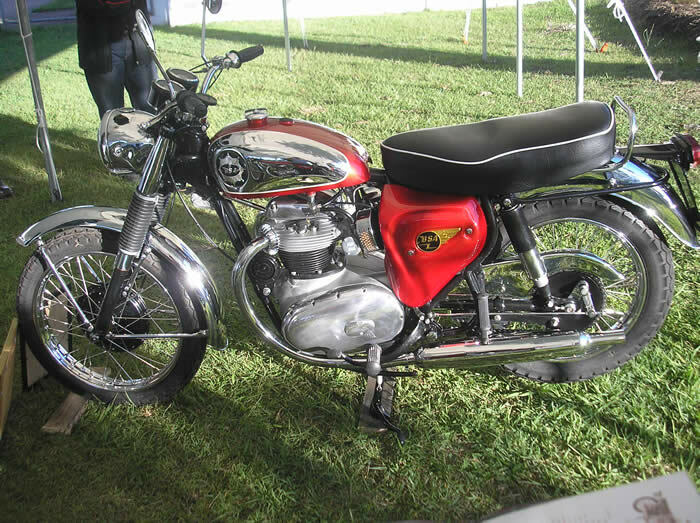 After doing a lot of research I found out that it was in fact a 1965 BSA Lightning Rocket which were only made in very small numbers for the US market only. 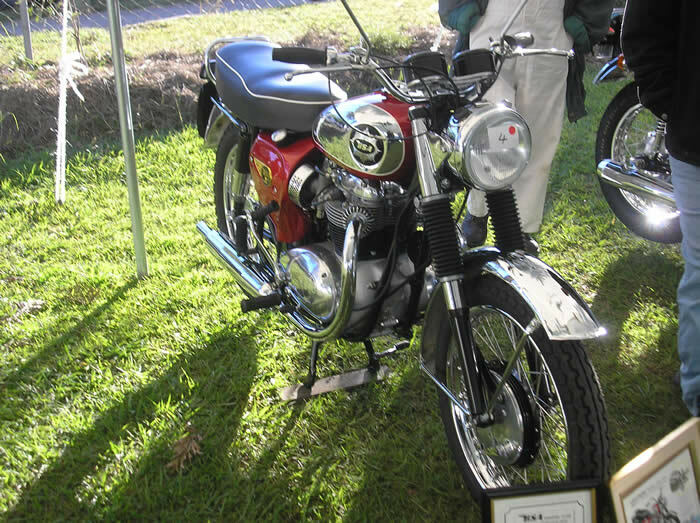 After a lot more research, I found that this bike came direct to the Australian distributors of BSA at the time which was Bennett & Wood in Sydney. It still retains the original engine in the original frame after all these years. 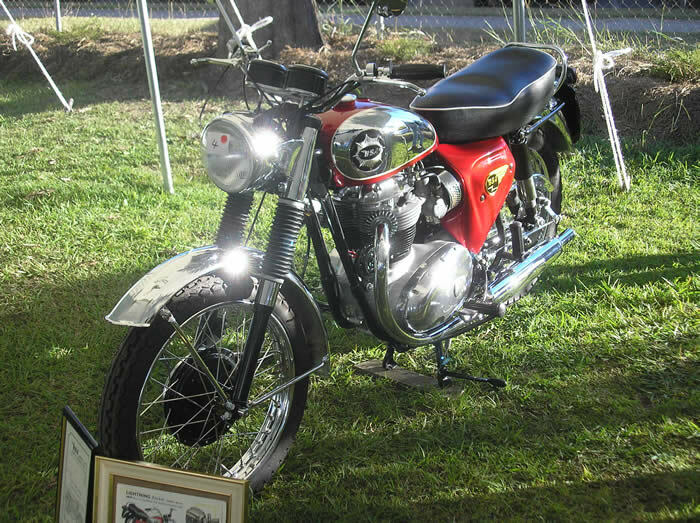 Apart from changing the original 6volt electrics to 12volt & putting and fitting a Boyer ignition the bike is as it left the UK on the 29/6/1965. As you can imagine it was quite a job locating the correct parts to rebuild this bike, hence it took several years to complete.